You may or may not have already noticed an exciting new feature on ePropertySites: the little orange and blue chat box in the lower right corner of the page. This live chat feature is available Monday through Friday, 5am to 5pm PST, and will connect you directly to one of the helpful members of our customer support team, pictured here on the left. That's right. 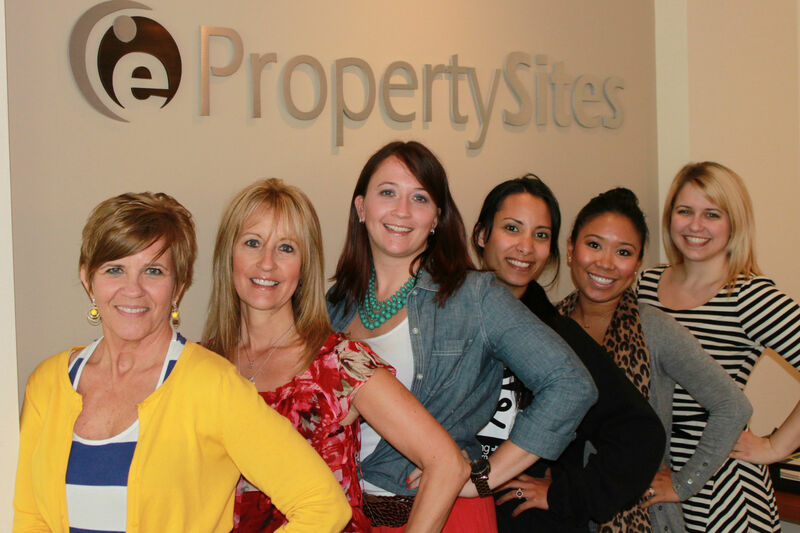 We are real people working in the real ePropertySites office and we're here to help! Our job is to make sure you have everything you need. We can answer your questions, troubleshoot with you, help you problem solve- heck, we'll even help you figure out what to wear on your dinner date this weekend, that's how supportive we are. 1. As soon as our office opens, the chat feature is activated. If the blue bar at the bottom says "Online- How can I help you?" then someone is here to answer your questions. Click on the orange chat bubble to begin the conversation. 2. What if we're not online? There are many other ways to get help! Click the red Get Help icon at the top of your screen to browse the User Guide, read through FAQs, or post a question in our forums. During business hours, you can always call our VIP Help Line at 949-328-5050. 3. If you'd like to turn the chat feature off, click on your Setup tab and then click Options. Check the "Off" box next to Display the Chat Help and click Save. The chat box will no longer appear on your screen. To turn the feature back on, go back to Setup> Options and uncheck the box. We hope this new feature will help make sure your questions are always answered. Please feel free to test this chat feature out. Ask a question, or just say hello. We want to make sure you are comfortable reaching out when you need something, so take a moment to give it a try. We look forward to chatting with you!